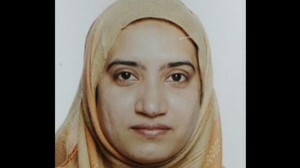 The FBI has discovered that Tashfeen Malik, one of the two shooters involved in the San Bernardino massacre, pledged support for Islamic jihad in at least two Facebook messages to a small group of Pakistani friends in 2012 and 2014, UPI reports. Investigators made the discovery while trying to determine whether they received help from anyone. The first message was sent out before Malik received a K-1 fiancee visa in 2014 to come to the U.S.
Immigration officials don’t typically review social media posts as part of the background check. Posted: 12/15/15 at 9:23 AM under News Story.